Before I moved to the US, I had an unusual encounter with a medium and psychic surgeon from Argentina through the leader of the Buddhist group I belonged to at the time. Some of us in the group went to meet him, and I also helped with organizing things for the people who somehow knew of him and came seeking relief from all sorts of ailments. I wasn’t aware of having any particular issues—I was there more out of curiosity than anything else—but he performed surgery on me on an physical and emotional level: he ‘unclogged’ my Fallopian tubes, restoring them to perfect health, and dissolved some emotional blockages as well. I realized years later I wouldn’t have been able to get pregnant without his intervention. 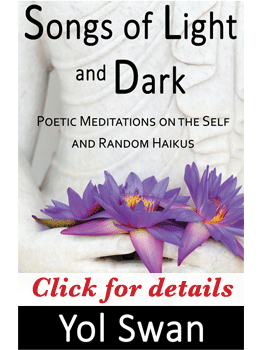 The experience left quite an impression on me, since I saw with my own eyes what my mind would have otherwise deemed impossible: having someone’s hands extend energetically and penetrate through my flesh to reach a sensitive area with no anesthetic of any kind and without feeling even a shred of pain or discomfort. This was a private meeting, and the man told me I’d later be doing “something similar” to what he was doing, which I immediately rejected, enamored as I was with the idea of moving to the US to study music. Of course, now I wish I had inquired more about it. 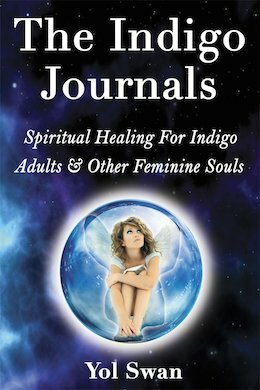 You can read the details of this encounter in The Indigo Journals: Spiritual Healing For Indigo Adults & Other Feminine Souls, if you’re interested. Unfortunately, I lost track of this man, so when someone mentioned a Brazilian medium and psychic surgeon known as John of God, about 15 years ago, I was curious again, although it wasn’t the right time for me to see him. Years later I met someone who offered his Crystal Bed Therapy and had several sessions that were profound. 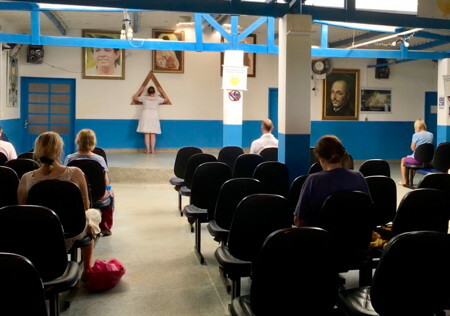 Then, at the end of last year, I was prompted to book a trip to the Casa de Dom Inácio, in Abadiânia, which is his spiritual hospital is. 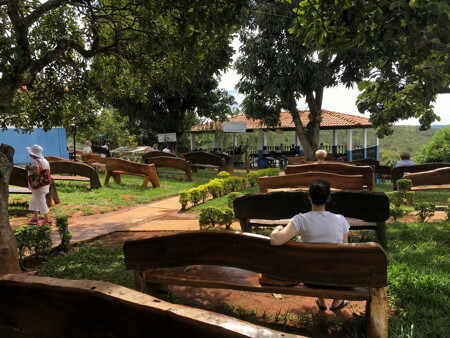 I spent two weeks on retreat there, enjoying the simplicity, beauty, and wonderful energy of this isolated place in central Brazil. Let me tell you, if signs weren’t in Portuguese, I would have sworn I was in one of the many Mexican towns I visited when I was younger! In the Casa, I did many Crystal Bed Therapy sessions, bathed in a blissful waterfall nearby, spent time in the gardens and current of energy generated by the entities John of God incorporates, and also experienced his ‘intervention.’ My mind, of course, had this big expectation about it being what I had undergone with that Argentinian medium back in the day, but it was nothing like it. There was no touching (unless you chose a public surgery, which I didn’t); there was no private meeting or talking to John of God while he was in trance, just passing quickly in front of him to receive instructions along with a long line of people. The healing was mostly done in groups as well, following strict protocols to keep things organized, since thousands of visitors come to see him every week. However, during the healing I clearly perceived a concentrated flow of bright, pure energy swiftly passing through each person in the room, then suddenly stopping where I was sitting and surging through my body like a sharp yet gentle thunderbolt. It didn’t take more than three minutes, but when I got out of the room all I wanted to do was sleep, which I did for the next 24 hours straight, and on and off for the next few days, until I was able to see what I needed to let go of and was clearly rejuvenated! So rather than ‘psychic surgery,’ it was more like an intense energy healing. At the end of my visit I got to briefly meet Joao, who is just a regular guy when he’s not in trance. Some people see him as some saintly figure, but having met true saints in my life, I can say that he’s not; he’s just a medium harnessing the energy people gathered in the ‘current’ rooms concentrate from this magical place (I got to be part of this a few times as well). So if you are in the Asheville area and would like deeper healing and overall well being, no matter what your issues may be or what you may have tried in the past, you should click on the following link to learn more about it: Crystal Bed Therapy – Asheville. Then contact me to book your Crystal Bed Therapy sessions, so you may experience the power of this energy portal the entities of Abadiânia use to support spiritual, mental, emotional, and physical healing around the world!